CHICAGO (JGL) – It was an unseasonably warm morning of February 4, 1985 when Tim M. Olivarez, correspondent of Tempo, a sister publication ofManila Bulletin, accompanied me in covering a murder case in Bulacan. On our way back to the Bulletin, Tim told me that he was going to see a smuggling lord, Jose “Don Pepe” Oyson, that night. I asked him if I could join him. Tim agreed provided I met him at about 7 that night inside our common beat – the Makati Police headquarters. For some reason, I forgot all about our rendezvous that night. Two days later, Tim’s distraught wife, Cecille, called me up, asking for Tim’s whereabouts. 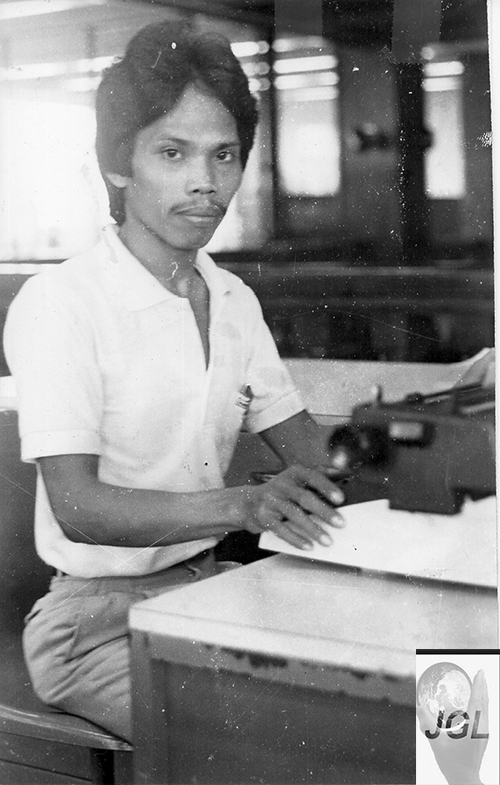 A Bikolano, like myself, Tim was also editing a community newspaper in Bataan province. Tim was never to be seen alive again since. On board my car, Tim was telling me that Don Pepe was upset that he described in his Tempo article days earlier the modus operandi on how Don Pepe smuggled goods from Hong Kong to his turf in Paranaque beach. According to Tim, Don Pepe was holed up in one of the high-rise hotel rooms across the U.S. Embassy on Roxas Boulevard in Manila. Using a telescope, Don Pepe would follow several boats, carrying smuggled goods unloaded from a ship moored in either the north or south harbor and would take the goods to Don Pepe’s Manila Bay beachfront. At the beachfront were several guards, some of them were subordinates of then Maj. Roberto (Bobby “Bungo”) Ortega of the Philippine Constabulary Metropolitan Police Command (Metrocom) Strike Force, waiting for the smuggled cargo. Major Ortega and his men were there to protect the delivery of the Don Pepe’s smuggled goods. As crime reporter for Manila Bulletin, I personally came to know Bobby Ortega during my coverage. Every time, there was bank robbery in Quezon City, whenever police reporters, including myself, rushed to scene, I always saw inside a bank a mestizo (light skinned) guy, who was oftentimes wearing civilian clothes, beating the Quezon City police first responders to the bank robbery scenes. I had a suspicion Bobby was part of the bank robbers. I found out later that the “mestizo” guy was Bobby Ortega. I also later learned that Bobby Ortega was the son of Carmen Ortega, said to be a “mistress” of President Marcos. That is why when charges were filed against Don Pepe Oyson and others for murder for the disappearance of Tim, I never volunteered the name of Bobby Ortega as Don Pepe’s conspirator in the Tim’s murder because I was scared of “Bungo” (skull in Filipino language). Neither could I write it inManila Bulletin because all the newspapers under martial law were controlled by the Marcoses. Oyson was later convicted of murder and was later reportedly “salvaged” (extra-judicially executed) by men under Gen. Alfredo Lim when Lim became director of the National Bureau of Investigation. 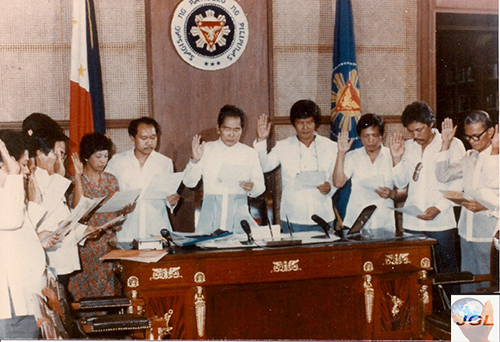 As I desperately tried to have an audience with President Marcos, I asked a friend, the late Deputy Metro Manila Governor Mel Mathay, to have me and other officers of The Rizal Metro Tri Media, Inc. (Tri-Media) be inducted by the President in Malacanang. I wanted to whisper to President Marcos that his “nephew,” Bobby Ortega, was the mastermind in the disappearance of Tim. But I wimped out at the last minute. I only told the President to provide my group reward money of P100,000 (US$25,000 at P20 to US$1 exchange rate in 1985) for information that could lead to the suspects behind Tim’s disappearance. President Marcos told then Director Greg Cendana of the National Media Production Center to source the P100,000 from the Marcos Foundation. 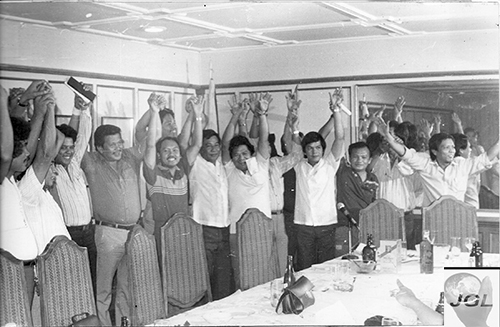 Even after running a Malacanang press release that President Marcos ordered a grant of P100,000 reward money to our group, Director Cendana never handed me the P100,000 reward money. Fortunately, nobody came forward with credible information that will compel us to release the reward money. The only benefit that my Tri-Media was able to give to the wife of Tim was the P25,000 (US$1,250) insurance coverage that my group was able to buy with premiums provided us by some of our friends, among them then San Juan Mayor and later President Joseph E. Estrada, now Manila mayor. When I left Manila to join my parents and siblings in Chicago, I later learned that the officers of Tri-Media discontinued the insurance coverage of its members and decided to divide among themselves about P100,000 (US$25,000) that I left in the bank so they can continue paying premiums for their insurance coverage. I will be losing sleep if I will not write about my personal knowledge of Bobby Ortega’s link to the disappearance of Tim now that the deadline for filing of human rights claim is coming up on Nov. 14, 2014. Another newsman reportedly told Bobby Ortega that he is one of the suspects in Tim’s disappearance but Bobby reportedly denied it. But I want to hear it myself from Bobby Ortega. I tried to reach out to Bobby Ortega in Baguio City, where he reportedly later became a city official, to ask him why Tim mentioned his name before Tim disappeared. But I did not get any response. Hopefully, Bobby Ortega will get in touch with me if he reads this column. Cecille Olivarez, you or Tim’s heirs, have on or before Nov. 10, 2014, to get in touch with me thru my email address: jglariosa@hotmail.com or thru my Facebook, Joseph G. Lariosa.